Downtown Inc is proud to launch its 2018 Business Series Presented by PNC. Business Series events will cover a variety of topics including social media communications and web presence, safety, resources and more. The Business Series is FREE. Though it's geared toward downtown businesses, anyone is welcome to attend. Parking is available at the Market Street Garage, 41 E. Market St. The Center for Community Engagement is just a short walk from the garage. Click here for more downtown parking information. Downtown Inc thanks the business community for its support of this workshop series. We’d like to also give a shoutout to our presenting sponsor, PNC; our beverage sponsor, K&K Coffee Service, Inc.; and our venue sponsor, York College Center for Community Engagement. 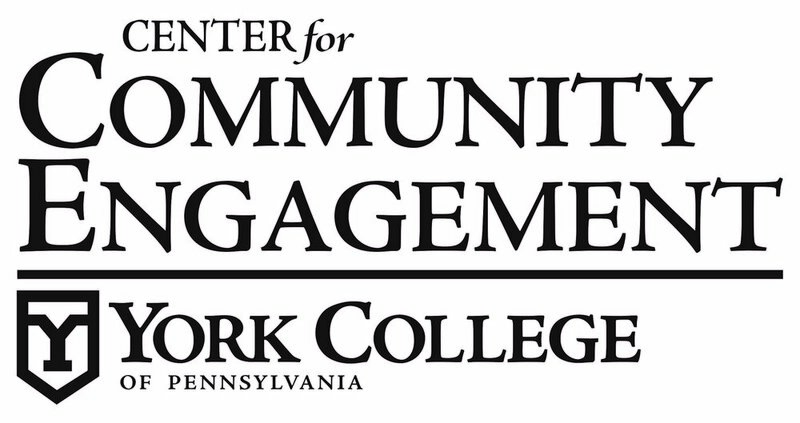 Please join us at 8:30 a.m., Wednesday, May 15, at the York College Center for Community Engagement for our next workshop: Improving Your Business Cash Flow and Assistance with Business Credit. Stay tuned for more program details. Jason Altland, Director of Digital Services’ and Chris Drinkut, a Digital Project Manager — guest presenters from Gavin Advertising - a full-service, advertising, marketing and public relations agency based in Downtown York — talked digital storytelling and the importance of defining your brand’s hero. Check out a quick recap video below if you missed it! Yup, it's that time of year again, when businesses and employees alike are navigating a bureaucratic buffet of W-2s, Form 1040s and whatever other alphanumeric-inspired paperwork comes their way. We'll brought a couple seasoned tax pros to the workshop to help business owners pick up valuable tips perfect for tax season. Missed it? View our recap video below. Downtown Inc and the York County Economic Alliance launched a strategic affiliation in 2018, effectively combining the resources of two of York County’s top economic development organizations. During this workshop, attendees learned how to tap into each organization’s respective business services, including marketing, networking opportunities, business financing and more. Insurance might not sound like an exciting topic, but the proper coverage can make a huge difference for the long-term success of your business. Hint: Did you know you could get business interruption service to cover losses after an unanticipated event? Those types of tips and more were available during Downtown Inc’s FREE workshop about insurance for small business as part of the 2018 Business Series presented by PNC. In today's business world, customer service matters more than ever. Downtown merchants honed this important skill thanks to an interactive presentation from Frederick Becker, Associated Professor of Hospitality Management at York College. We all dream of starting our own businesses, or expanding the one we already have. But that takes money, and let’s be honest: Not everyone has an excess of capital to invest in their next big idea. Business financing may be your best option. This workshop brought together a panel of experts from PNC, the Community First Fund and the Small Business Development Center to discuss options to grow your business or start your first. If you missed the workshop, you can view the full recording here. Thank you to everyone who joined us for our networking mixer at Taste Test! Social media has exploded. Every minute, there are 317,000 new Facebook status updates, 448,000 tweets and 66,000 Instagram posts sent into the world. So how can your business stand out on increasingly crowded news feeds and timelines? You can start with simple storytelling to connect with your customers, build your brand and ultimately make more sales. Andrew Staub, Downtown Inc’s Marketing & Communications Manager, discussed the strategies you can use to create compelling content and engage with customers on social media, all while having fun telling your story. Whether your organization has 1 employee or 1,000, there are multiple federal and state laws that impact how you manage your employees. CGA employment attorney Christine Nentwig presentation covered laws governing sexual harassment, discrimination, wage and hour issues and employee disabilities and medical conditions and more. Plus, Nentwig will discussed practical steps businesses of all sizes should take to avoid liability. This event was canceled due to inclement weather. Stay tuned for future networking opportunities! Philip Given, Chief of Staff to York Mayor Michael Helfrich and President of the York City Pretzel Company, join Downtown Inc to discuss social media assets and how to ensure your businesses Yelp, Google and Facebook pages present the information customers and visitors need. Businesses and non-profits located in the Downtown York Business Improvement District joined Downtown Inc at the first Business Series event of 2018 at York College's Center for Community Engagement. York City Police Officers Derek Hartman and Rich Kehler shared tips for your personal safety, best practices for contacting police and how to protect your business. A safety tip sheet was presented, and a Q&A session followed.